Miss Jane Matthews feels completely out of place amongst the finery of theton. She’s the daughter of a country vicar, for goodness sake, and nearly a spinster to boot. Frankly, she would prefer to stay that way. How can a lady of Quality start up her own modiste shop, after all? But when her distant cousin—the Dowager Duchess of Somerton, of all people—offers to sponsor her for a Season in London, she agrees, but only so she can take the opportunity to search for a storefront for her business. Perhaps, in that regard, the Season won’t all be in vain. The widower of a loveless marriage, Peter Hardwicke, the Duke of Somerton, has already done his duty and provided an heir for his dukedom, so he sees no reason whatsoever to remarry. Even if, heaven forbid, something should happen to his son, he still has three younger brothers who are each quite capable of inheriting. Taking a wife would only mean adding a new responsibility to his already too-full schedule. He’s more than busy enough keeping his mother, siblings, and children in line—not to mention sorting out the myriad problems plaguing one of his estates. But when Lord Utley, one of Peter’s childhood friends and a man who has been on the wrong side of Peter’s ire for many years now, takes an unlikely interest in Jane, he has to intervene. Peter will be damned if he’ll allow Utley to ruin yet another life. But will rescuing Jane from Utley’s clutches land Peter with another loveless marriage? A shrill, female voice that could only belong to his mother demanded entrance just as a rather loud thud sounded against the door. 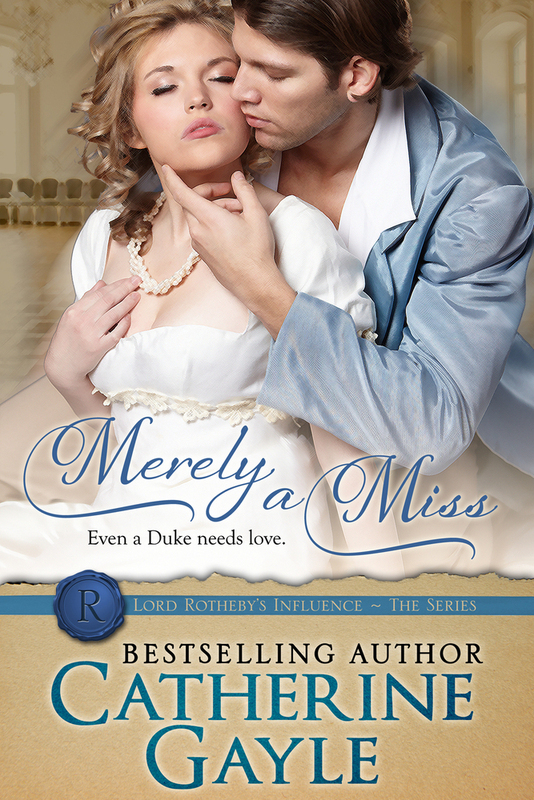 “His Grace is not to be disturbed, ma’am,” came the gruff, masculine response of his footman. Peter Hardwicke, Duke of Somerton, could almost feel the commotion outside the doors of his library, not just hear it. Clearly unimpressed by the footman’s response to her command, Mama pushed the door open and nearly burst it free from its hinges. Forrester’s jaw fell open from across the great oak desk. He stared at the dowager as she disrupted their business meeting. One look back at Peter, however, had the secretary snapping his mouth closed so fast he might have bitten off the end of his tongue. The Dowager Duchess of Somerton might disregard her son’s edicts, but no one would disrespect her and live to tell the tale. At least not if Peter knew anything about it. Henrietta Hardwicke—lovely, still, with her rich auburn hair streaked with only a bit of white, and quite a lovely figure, despite having borne six children—pushed the doors wide as the bedraggled butler, Spenser, and Peter’s baffled footman followed in her wake. “Your Grace, I apologize,” Spenser stammered. “We informed Her Grace that you required privacy, but she would not take no for an answer.” His beleaguered butler looked ready to rip his hair out in frustration and, indeed, a few stray grays stood on end. Peter could understand the sentiment. He needed to sort out these matters with Forrester and send the man on his way. Then he could better focus on the day’s true agenda: examining the ledgers from his various estates. Only that morning, he had held his quarterly meeting with Yeats to receiving his accounting. Peter’s man of business held no small amount of concern over Carreg Mawr, Peter’s Welsh estate. It seemed that Turnpenny might be losing his touch with the staff, at least if Yeats’s hunch was correct. Yeats was rarely wrong with his hunches. It was a seminal talent. Peter’s talents, however, lay in finding proof of his hunches by poring over the accounts. Doing so would require time, though, and a bit of silence in his house. Neither of which was he currently being granted. All three servants waited for his signal before departing. At least they would respect his authority in this house. A throb formed behind Peter’s eye. He loved his mother—he truly did. In fact, he loved all of his family a great deal. It was because of that great love for them that he overlooked it when they treated him with somewhat less respect than his position in society demanded. It was also because of that love that he needed to complete his current task. After all, one must always fulfill one’s duty to those one loved. Peter’s duty to his family was to assure their wellbeing. Doing so required the incomes from his properties. And maintaining such an income from said properties required his utter diligence and devotion. He shook his head. Sometimes it felt as though no one else understood how great his responsibilities were. This was one of those times. He took a glance at the stack of papers toppling over his currently cluttered but normally tidy desk and awaiting his attention, then up at Mama’s fierce determination—the firm set of her jaw and the slight rise of a single eyebrow. He tried to mask his annoyance as he waved the servants away and escorted his mother into a chintz armchair near the large and piteously over-cluttered desk. His mother would always be granted his time, when he could make it for her. Peter waited until the door closed behind the men before he asked, “What can I do for you today, Mama?” He said a silent prayer for patience. Good Lord in heaven, why should he want that for himself? It was all fine and well for Alex, but Peter and Alex were hardly the same. He’d hoped that when Alex had married, Mama’s matchmaking schemes would have come to a close. Not that he had had any choice in the matter. He looked at the pile of paperwork waiting on his desk—two large stacks of the ledgers from his various accounts, another, equally large stack of correspondence awaiting his response, and a book of proverbs. Those proverbs were his one diversion these days, the one manner he allowed himself for spending his rather limited idle time. He refused to see such a pastime as wasteful, since at least the proverbs allowed him to grow in wisdom. However, he likely wouldn’t be able to study them again for weeks, at the current rate, and longer than that if he agreed to whatever harebrained scheme his mother was currently concocting. Not to mention he had absolutely no desire for one. There were plenty of women prepared to satisfy his sexual needs who didn’t insist upon the commitment a wife or even a mistress would require. Peter failed to see what purpose taking a new duchess could possibly serve. “You could see life from my perspective if you fell in love. Try it.” Her eyes didn’t ask for his cooperation; rather, they commanded his obedience. He felt like a little boy again, one who’d just defied his mother. Mama could always do that to him, even as a grown man, even now that he was the Duke of Somerton. He was one of the most powerful men in the entire kingdom, for God’s sake. “And just how, pray tell, do you propose I try it?” Why had he even bothered to ask? He dreaded her answer. Of course, he didn’t have to agree to whatever her plan was. There was always another option, even with Mama. “Make it clear you’re back on the marriage mart. Let the ton know you’re looking for a wife. And humor me by following through with it and attending balls, going to the opera, and actually looking for a bride.” She neglected to crack even the barest hint of a smile. He groaned. “Mama, I attended a number of balls last Season. I found no one suitable at any of them.” The docile debutante daughters of meddlesome Mamas always filled the blasted affairs. An unsightly combination of unhappily married ladies and lonely widows were continuously on the prowl, on their salacious hunt for male companionship. For some reason, all of these females typically marked him as their primary target any time he attended such a rout. Who was he fooling? He knew precisely why they marked him as their sport. Sometimes he wished didn’t not carry any of his titles, that he was simply Peter Hardwicke and not the Duke of Somerton. Then, perhaps, he could prove their attentions hinged only on a desire for station and not on a desire for him. That, however, could never be. Like it or not, he had been born with the knowledge that he was destined for this position. He had been brought up with this singular purpose forever in his mind. One simply could not escape fate, no matter how hard one might try. “You attended a grand total of three balls last Season,” Mama countered. “I expect far more effort than that this time around.” She pushed a stray piece of hair behind her ear before resuming her position, regal as the queen herself. His eyes narrowed to slits. “How much more effort?” He doubted he could bear more than four or five balls at the most. The Season only lasted a few months, after all. “Total.” Mama raised a single eyebrow, daring him to defy her. He groaned aloud. With that determination in her eyes, the woman would stop at nothing less than insisting he attend at least two or three soirees for every week of the Season. Damnation. He really needed to keep a better check on his temper so he wouldn’t be so sorely tempted to speak before he thought. Fiend seize it, had he truly just agreed to attend entertainments every night for months on end? He must be barking mad. They should lock him in an asylum and toss the key into the fiery pits of hell. Wonderful. How could things possibly get any worse? “What might that be?” he drawled. Peter saw no reason to feign excitement over any part of this conversation. “I’ve been corresponding with my third cousin, Barbara Matthews, do you remember her? The vicar’s wife? I’m certain you must. She’s really a dear, sweet lady. Anyway, she has a daughter with no dowry, and they’ve been so unfortunate as to be unable to provide her with a come-out either. I should very much like to invite her to stay with us this Season so I can sponsor her. Will you allow it?” Yet again, her tone challenged him with an order more than asked a question. “So you propose I should have three young, unmarried misses in my home partaking in the marriage mart while you force me to participate as well? I can think of nothing I would enjoy more, Mama.” He couldn’t hold back the sarcasm. Not that he had tried, precisely. First there was Sophie, who’d already been on the marriage mart for close to a decade. Now Charlotte was due for her come-out. With the addition of this long lost cousin, Peter thought he might drown in silks and lace before he could even contemplate doing what his mother had asked of him. “Since you will sponsor her come-out, I suppose you expect me to give her official debut ball, as well.” He waited for Mama’s nod. “Will you at least allow me to combine Miss Matthews’s ball with Charlotte’s? These balls will be the death of me,” he said, grumbling the last bit beneath his breath and certain she would still hear it. Tomorrow? They would be back within less than a week. How would he possibly get through his ledgers in such a short amount of time? But it would be almost impossible to sort out the problems with Turnpenny at Carreg Mawr once they returned and he began to fulfill his newfound societal obligations. Why had she even bothered seeking his permission then, if she’d seen to all of the details? Clearly, she had already made up her mind, no matter his wishes. “Yes, Mama. I know.” If only she would trust him to know what was best for himself. He had been the Duke of Somerton and the head of the Hardwicke family for over five years now. Yet still she treated him like a little boy, for Christ’s sake. Too bloody busy for Peter’s comfort. He settled at his desk and opened the first ledger for his Welsh estate before checking the clock on the far wall. There was no time to waste on Mama’s distraction of searching for a wife, but what else could he do? If he neglected to follow through with it, she’d badger him for the rest of eternity. One Season—one silly, fussy little Season—would surely not kill him. It might make him itch to strangle a libidinous widow or two at times, after they had attempted to work themselves into his bed, or perhaps wish to jump from the window of the highest floor at Hardwicke House, but it wouldn’t kill him of its own accord. Why would she not leave him be? “Her dowry?” he drawled. For the first time that day, Peter earned his mother’s smile. Jane set aside the gown she had been sewing and chose a book from Mrs. Zachariah’s collection on the nearby bookshelf. “How does Pride and Prejudice sound for today? It’s high time we start with a new book.” She leafed through the pages, desperate to lose herself in the story. Of course, the village matron would agree to whatever book she selected—their reading sessions were merely a means to achieve Mrs. Zachariah’s afternoon nap. “Oh, yes. That sounds truly lovely, dear. Why don’t you begin?” Mrs. Zachariah pulled a quilt high about her shoulders and struggled to keep her eyes open while the late afternoon sun warmed her gray, papery skin. Jane wondered how much they would read before her friend nodded off from the lull of her voice. She returned to her seat near the lounging chaise where the older woman rested. A large ball of orange and white fluff leapt into her lap almost as soon as she was seated. “All right, let’s begin. It is a truth universally acknowledged, that a single man in possession of a good fortune, must be in want of a wife. What a terribly odd sentiment.” Mr. Cuddlesworth purred his agreement as he kneaded his paws against her bosom. “Was that in the story? Jane, do please try to keep your thoughts to yourself. My feeble mind doesn’t need any more distraction than it already has.” Mrs. Zachariah coughed and cleared her throat, then settled in again. Jane pushed the cat’s paws away from their inappropriate behavior and tried to readjust him in a more decorous position curled up on her legs. Try as she might, she’d never managed to break her cat from drawing attention to her more-than-ample bosom with his antics. At least no one here cared how thoroughly unacceptable the Mr. Cuddlesworth’s behavior was, whether they were in company or not. “I’m sorry, ma’am,” she said once he was resituated “I’ll try to do better.” After only a few pages, Mrs. Zachariah’s all-too-familiar snores reached her ears, so she continued to read to herself. She could always read it again to the older woman tomorrow—and she likely would. Mother would be furious at her tardiness. They had a guest arriving, some distant cousin or something. A dowager duchess, no less. One would think she was the blasted Queen of England herself, the way Mother droned on and on about the Dowager Duchess of Somerton. Why should a title matter one whit? The woman was only a relative, and one who had never bothered to visit before, at that. Nor had she invited any of them to visit. She probably looked down upon them, because Jane’s father was merely a country vicar and he held no title. With the room set back to rights and her sewing packed away, Jane carefully moved Mr. Cuddlesworth to his well-worn (or rather, so terribly old and used it was falling apart) basket. She wished he’d find something else to sleep in, but her sweet cat was very set in his ways. The basket had been his since the very first day she sneaked him into the house. She’d tucked him in her skirts when she was only nine years old to accomplish the feat. He didn’t seem to care how it was too small to house his body or how hideously the wicker broke about him. It was his, and he would use it until the day he died. Jane rather thought he might tell her as much himself, if he could speak. Or if she could understand his cat language. Once he was settled, she gathered her belongings and rushed out the door, the cat’s basket tucked snugly under one arm and another with her sewing notions in the other hand. She trudged through the muddy lane separating their two houses. At least the rain had finally stopped. Mr. Cuddlesworth hated to get wet. They always fought an epic battle when he needed a bath, though it was usually quite unclear in the aftermath which of them had come out the victor. As she turned the corner toward her parents’ home, she realized things were far worse than she expected. A huge, crested carriage waited before the front door. At least four men accompanied it, each of them at work caring for the team of six horses. Six horses! Oh, dear Lord. Jane rushed past the carriage on her way to the house, ducking her head as she passed the team so as not to draw their attention. One horse reared back and whinnied, and her heart palpitated. Breathing became almost impossible. She froze where she stood, so that perhaps the beast would calm down. Only a few more steps to the kitchen door. One of the men waiting with the carriage grabbed hold of the horse’s reins and calmed it, and Jane took that opportunity to dart the rest of the way. Thank heavens. She hoped she could clean up before being spotted by anyone. Mother would be livid if Jane came in to be introduced to the dowager with a muddy hem and shoes. She threw open the door and scurried inside. And ran straight into the lion’s den. Mother’s eyes dropped to the floor and her cheeks filled with color. Oh, dear. She hated to embarrass her mother. Jane had always hoped that, perhaps as she grew older, she would find a way to stop being so clumsy—that she could manage to behave appropriately more often than she behaved inappropriately. Fortune had not been so kind as to grant her that favor. She set her baskets down on the floor and brushed a hand over the wild mass of blonde hair falling out of place on her head. Nothing could be done about the state of her attire at this point, but at least she could try to straighten her hair. The damp air was causing her curls to run riot, though, and they quickly bounced back to their original position. Blast, why had she worn the green cotton? It always made her skin look sallow. Not only that, but it had far more pulls from Mr. Cuddlesworth’s claws than any of her others. She really ought to make herself some new gowns sometime soon. Her current dresses were all too worn, too faded. Too late to do anything about that, at the moment. With a sheepish grin, Jane tried to execute a proper and polite curtsy to the dowager, but her muddy shoes slipped on the hardwood floor and she fell forward. Thwack! Her nose smacked hard on the floor just beside the dowager’s feet. “Oh, that hurt.” Her pride, more than anything. Mrs. Childress, the family’s maid of all work, rushed to her side and helped her to her feet. A tiny pool of blood pooled on the floor just where her nose had been, and a few droplets fell forward and landed on the dowager’s gown as Jane straightened. She took a seat across the table from the two older women. That was not quite the elegant entrance she’d hoped for. Mr. Cuddlesworth jumped into her lap and shoved his head into her hand repeatedly, forcing her to pet him just as he wanted, and entirely oblivious to the scene his favorite person had just caused. “Changed your mind about what?” Jane tried to ignore the hurt tone of her mother’s voice. She pressed another wet cloth, brought over by Mrs. Childress, against her bloody nose with her unoccupied hand and hoped the flow would cease soon. If it didn’t, she would likely get blood all over Mr. Cuddlesworth and then have to give the poor dear a bath. A chore neither of them relished. She might end up bloodier than she started. She was a grown woman, by God, and not some silly girl still in leading strings. She would speak when she wanted to speak, and question when (and whom) she wanted to question, regardless of rank or station. Jane purposefully left the apology out of her question, choosing instead to simply add a proper styling for the woman’s rank. She turned to Mother and took the cloth from her hands. Then she took over the task of blotting the bloody spots from the fine yellow muslin of her gown. It was quite the fashionable gown, too, with subtle yet intricate stitch-work along the seams. It took every ounce of restraint Jane owned to keep from leaning closer and examining that gown down to the last inch. She wanted desperately to recreate it—only in a blue shade, something more akin to the sky on a sunny, spring afternoon. Oh, heavens. She knew Mother had been horrified all those years ago when she’d refused Mr. Thornhill’s pursuit. Whitstable didn’t boast many other prospects in general, and the few that did remain at that point had all since married. None of which had bothered Jane in the least—but clearly it bothered Mother more than she’d realized. “Enough with this foolishness of sewing! Jane, the Dowager Duchess of Somerton has made an offer to you that you simply cannot refuse. You will not refuse.” Mother looked close to tears. “You’ll go. You’ll do everything in your power to be charming and to find a husband. You simply can’t fail again.” She stopped on a sob and took a moment to recompose herself. The incident between Jane and Mr. Thornhill was most certainly not a failure, at least not in Jane’s estimation. She wouldn’t marry him if he were the last man in all of England. Not five years ago, not now, not in another ten years. The dowager gave her an encouraging smile, and Jane couldn’t bear to blatantly ignore her mother’s request. Besides, she need only go to London and try to find a husband. She wasn’t promising to actually take one. Added to that, if she went along with her mother’s request, she could even look around for a place to set up a shop—and take a look at some of the already established modiste shops there, to see what her competition might be. She hadn’t yet worked out the logistics of having a storefront in London while working in Whitstable, but surely it would be easier to work all of that out in Town. Mother heaved a sigh of relief and Jane returned her attention to the dowager. “Ma’am, how soon will we travel? I’ll have to prepare Mr. Cuddlesworth for the journey and pack some food for him.” He raised his head at the mention of his name and looked up at her with adoring, amber eyes.